Sundek Sports System offers Artificial Football Turf to his valuable client at most impressive cost in market. The main characteristics of Football Turf that makes it the most desirable surface is because of its softness, non-abrasive fibres, designed to replicate grass in various colours, feel and performance.Our offered Football Turf, allow the football to 'sit' on the surface, controlling ball roll, allowing sliding tackles and freedom of movement for the player to perform a full selection of skills. Futsal turf is one of the best inventions of human. Futsal turf has made life so simple for mankind as there is nothing much you need to do. With such turfs at your rescue, there is no looking behind. You can keep off all those trimming, mowing, watering, fertilizing and pest control worries at bay and have a place that looks stylish and comfortable. If you are planning to set up a sports lawn for your kids to practice their favorite sports there is nothing as good as futsal grass, high on quality and looks just like natural grass. Sundek Sports Systems offers Futsal Turf to his customers, to gets exactly what they wants based on their budget & requirements.Futsal turf is water resistant, whether it can withstand extreme climatic conditions, whether they are available in a variety of shades. These type of artificial grass is usually used in hockey, football, rugby, baseball, lawn tennis pitches. 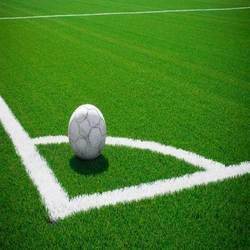 For the landscaping and infilled artificial turf sports Fields, such as the soccer, base ball, rugby etc. Yarns with strength, but soft to the touch. Excellent UV-stability and environmentally friendly. Safety and beauty always a winning combination in the Backyard or major league stadium. Backyard play has never been as beautiful or rugged as When it done on this kind turf. Sundek Sports Systems engaged in offering the best 5-a-side pitches for football in INDIA. 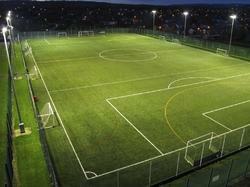 Artificial turf 5-a-side Football Turf Realistic artificial grass Additional shock pad for player comfort. Sundek Sports Systems engaged in offering the best 7-a-side pitches for football in INDIA. Our artificial turf i.e. 7-a-side Football Turf was recently upgraded to the newest, most realistic artificial grass ever and additional shock pad for player comfort. 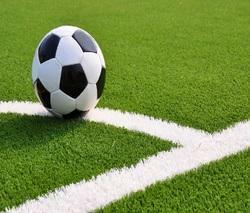 As an Leading manufacturer of artificial turf for soccer in INDIA. Our soccer turf is tough and natural looking with services. 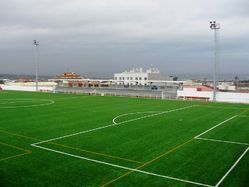 A perfect match between soccer and artificial grass, football and artificial turf. Soccer Turf, which we offers are manufacturer by durable yarns and FIFA tested.